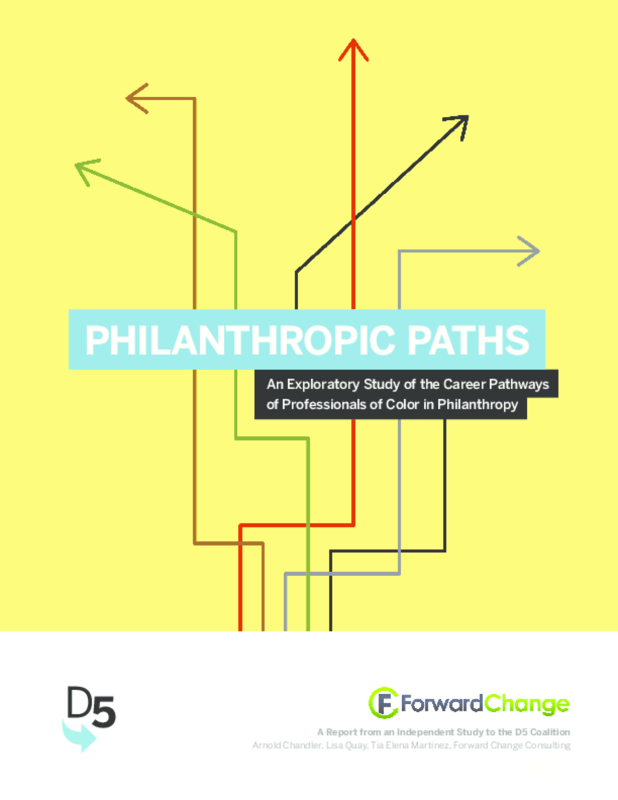 What are the career pathways of people of color in philanthropy in terms of how they enter the field and advance to higher levels of seniority? What factors do philanthropic professionals of color view as posing the greatest barriers and contributors to career advancement in the sector? What is the perceived value of and challenges to achieving greater leadership diversity in foundations from the perspective of professionals of color in the field? While not generalizable to the broader population of people of color working in the sector, interviews conducted with these individuals surfaced a set of potentially common points of entry and career pathways among professionals of color in philanthropy, as well as the factors that helped shape those pathways. Copyright 2014 D5 Coalition, Forward Change.